You probably already know that eating greens is good for you. But what if you’re not a big fan of veggies? Well, you don’t really have to force yourself to like them anymore. You can just either get them in flavored powder form or buy them plain and then add them to your favorite smoothies. Today, I’ll review 9 of the best green powder supplements you can use to easily up your intake of the good stuff! What Are the Advantages and Disadvantages of Superfood Powders? 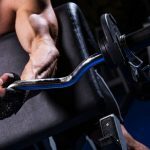 Are Green Powders Worth It? 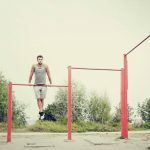 Are There Green Powders for People Doing Keto? 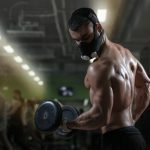 What’s the Best Green Powder to Use in 2019? Do Green Superfood Powders Help with Weight Loss? 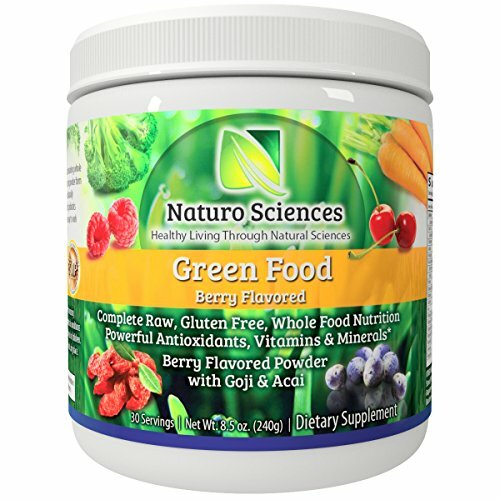 Review: Made with some of the healthiest, most beneficial whole foods, Naturo Sciences Green Food is regarded by some as the best green powder for smoothies you can use. It contains a super-antioxidant blend that consists of ingredients such as acai berry, goji berry and raspberry, in addition to probiotics and digestive enzymes. And, to round everything out, it also packs a food blend containing wheat grass, barley, spinach and more. Made with carefully and purposefully selected ingredients. Contains probiotics and digestive enzymes to promote gut health. Has high levels of antioxidants. Has high amounts of fiber. Not 100% organic (if that’s what you’re looking for). 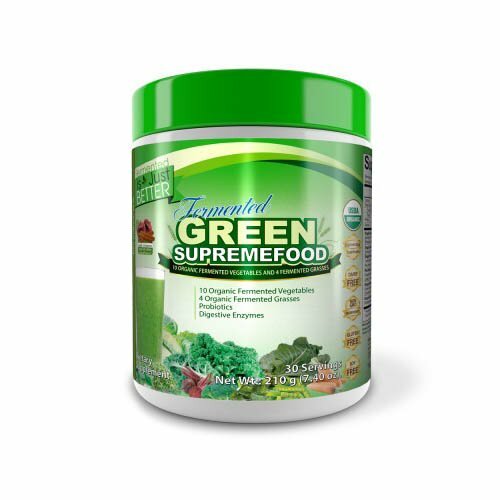 If it’s a top rated green superfood powder you’re looking for, then this product is a great place to start. It’s carefully selected ingredients will not only detoxify your body, but also provide you with a good mix of essential nutrients while improving your gut health. 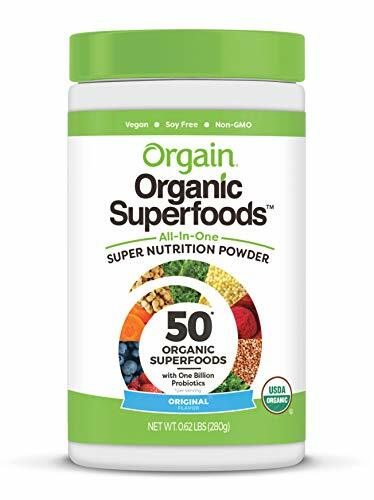 Review: If you’re a fan of organic stuff, then Orgain Organic Superfoods Powder is the product for you. 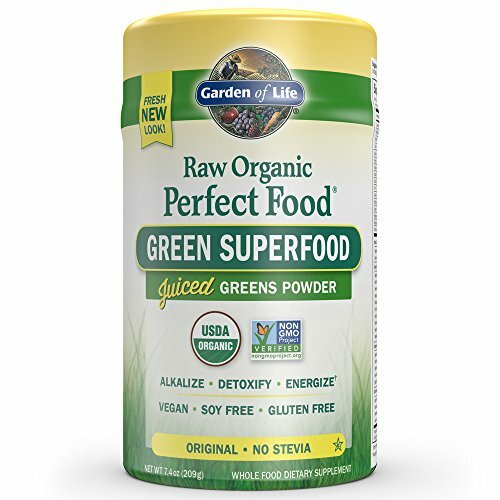 Dubbed by some people as the best organic green superfood powder in the market today, it packs 50 superfoods in every single scoop you consume, allowing you to get a great mix of nutrients in one drink. Contains absolutely no artificial flavors or preservatives. Considered by some as the best tasting greens powder for smoothies. Limited flavors to choose from. If it’s convenience you want, then you can’t really go wrong with this product. How else would you be able to consume 50 superfoods in one sitting (and without spending a fortune)? 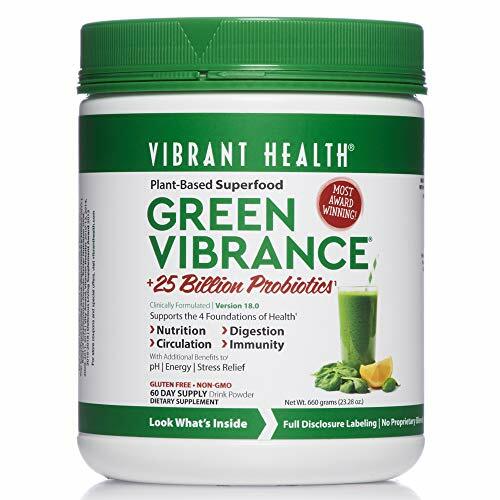 Review: In terms of value for money, Vibrant Health’s Green Vibrance is arguably the best super green powder you can buy. Instead of just providing you with good, clean and ultra-convenient nutrition, it also promotes better circulation, digestion and immunity, helping your body function at its peak at all times. Has only 40 calories per serving. Made with 70 carefully selected, nutrient-dense ingredients. No proprietary blends, all ingredients are listed. 100% free from gluten, GMOs and artificial sweeteners. One of the most expensive options on this list. High levels of fiber may cause gassiness in some individuals. 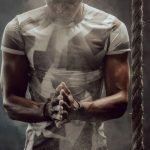 If you’re the type of person who wants to make the most out of every single cent they spend, then this could very well be the best super green powder for you. Designed to support what the brand calls “the four foundations of health” nutrition, circulation, digestion and immunity, it truly packs excellent bang for your buck in every scoop. Review: While not considered by some people to be the best tasting greens powder around, Fermented Green Supremefood by Divine Health definitely shines in the nutrition department. 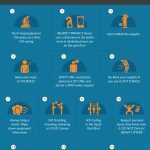 Unlike the other products on this list, it packs – as the name suggests – fermented vegetables and grasses, which are easier for your body to digest and squeeze nutrients out of. Contains more easily absorbed nutrients. Packs both pre and probiotics. Provides natural energy that also neutralizes harmful free radicals. Contains more than 20 organic vegetables and grasses. Not as easy to mix as the other products on this list. Has a hint of bitterness. This is perfect for you if you care more about the health benefits of the food you’re eating than the flavor. Again, this is not the best tasting green superfood powder in the market, but it’s definitely packed with a whole lot of good stuff. 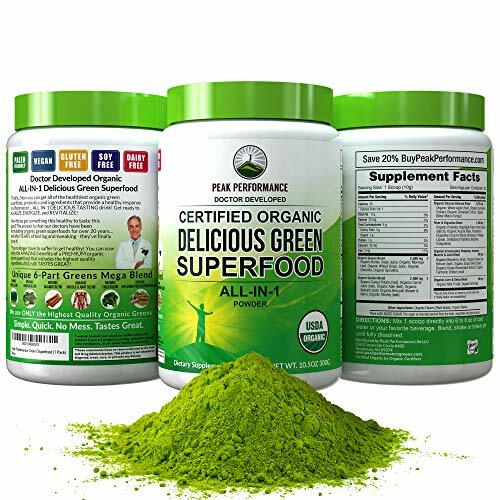 Review: Known for having one of the highest nutrient content per serving among all green superfood pills or juices in the market today, Certified Organic Green Superfood by Peak Performance is also regarded by some as one of the tastiest options around. It uses grass juice extract instead of grass powders to ensure maximum nutrient concentration and absorption. Helps the body remove toxins more effectively. Some people say it tastes a bit too “grassy”. 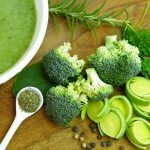 Whether it tastes awesome or a bit too grassy for you, you can’t deny the fact that a green powder known for being one of the most nutrient-dense options in the market today is worth checking out. Review: Made with absolutely zero fillers or chemical-based binders, this 100% organic superfood powder packs all-natural ingredients designed to alkalize, detoxify and energize your body. 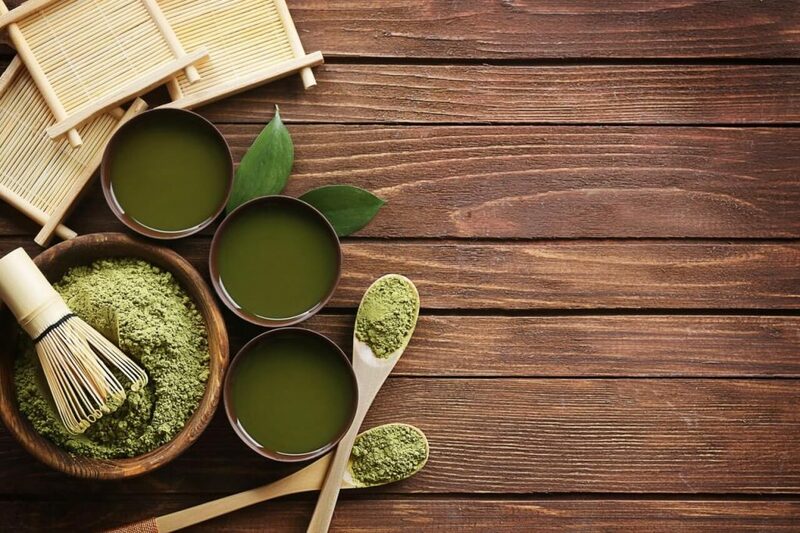 It’s six times more concentrated than products made with whole leaf grass powders, so, just like with Vibrant Health Green Vibrance, it also provides excellent value for every cent you pay. Packed with naturally occurring antioxidants, enzymes, essential fatty acids, amino acids and dozens of other phytonutrients. Helps keep healthy blood sugar levels. 100% vegan, soy-free and gluten-free. Does not mix as well as the other products on this list. Slightly acidic taste puts some people off. If you’re big on consuming only organic foods and beverages, then you should definitely check this product out. Everything in it comes from nothing but real wholesome foods. 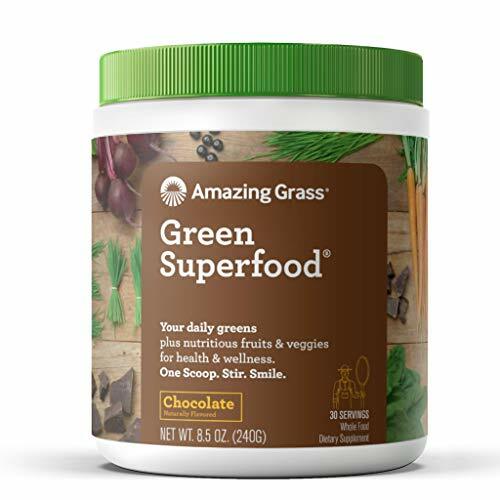 Review: If you’re a little more adventurous when it comes to flavors, then Amazing Grass Green Superfood may be the perfect green powder for you. It comes in berry, chocolate, original and pumpkin spice, so if you ever get tired of one flavor, you can just switch to another. Comes in four delicious flavors. One scoop is equivalent to 1-2 full servings of wholesome fruits and veggies. Doesn’t pack as many greens as other products on this list. Flavors may not work with some types of smoothies. What this product lacks in the variety of greens used, it definitely makes up for in flavor. It’s perfect for you if a lot of the superfood powders in the market today still taste a little too “green” for you. At the end of the day, even if there are more loaded options out there, if you can’t bring yourself to consume them regularly, then what’s the point? You’re better off going with something with fewer ingredients but packed with flavors you love. 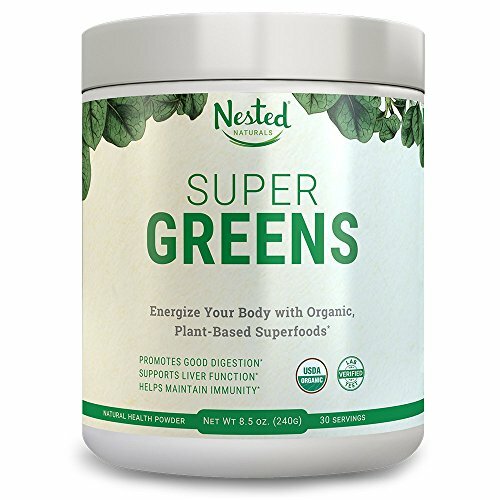 Review: Designed to provide you with more stable energy levels throughout the day, Nested Naturals Super Greens is packed with a purposefully selected blend of wholesome ingredients known to work well together in promoting optimum health. Aside from the superfoods, though, it’s also packed with tons of fiber, probiotics and digestive enzymes for maximum gut health. Helps improves gut health so your body can use nutrients more efficiently. Energizes without the spikes and crashes that normally come from sugar and caffeine. Boosts immunity and supports healthy liver function. Does not contain sweeteners so not as tasty as the other options on this list. This is another one of those nutrition over taste type of green powders. The good news, though, is that the fact that it’s not as flavorful as other alternatives means you can easily mix it in with all your favorite smoothies without affecting their taste. 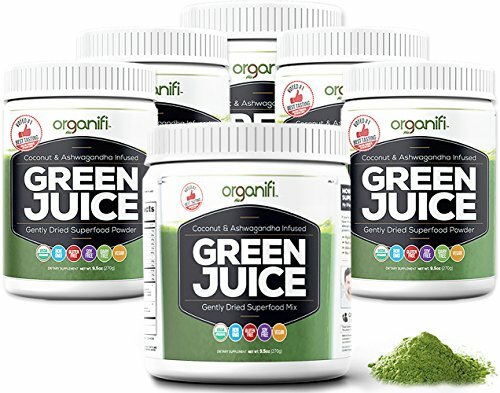 Review: The higher price tag of Organifi Green Juice is, without a doubt, justified by the sheer number of health benefits it provides. It detoxifies, reduces stress, rejuvenates the skin, boosts immunity, provides better mental clarity and promotes overall better health. Contains a good mix of superfoods. Pricier than other alternatives on this list. Flavor may not appeal to some people. Without a doubt, this is one of the most benefit-packed products on this list. The only problem is that it may be too expensive for some people. But if you have money to spare, then it’s definitely worth a shot. Of course, as with any other type of product you can buy, green powders come with both advantages and disadvantages. Obviously, one of the biggest advantages of green powders is that they are super convenient. 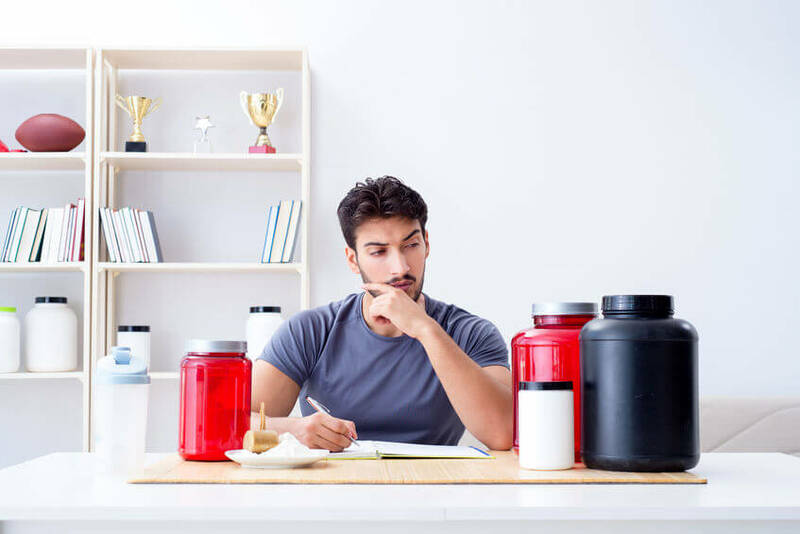 Just like protein powders and other meal replacement products, they make it so you no longer have to waste time preparing, chopping and cooking anything. All you have to do is scoop your green powder into a glass, add water and you’re all set – either that or mix it in with your favorite smoothie. It truly is the perfect option for people who are always on the go. You probably already know just how expensive superfoods are. Buying all the superfoods that commercially available green powders contain individually would cost you a fortune. 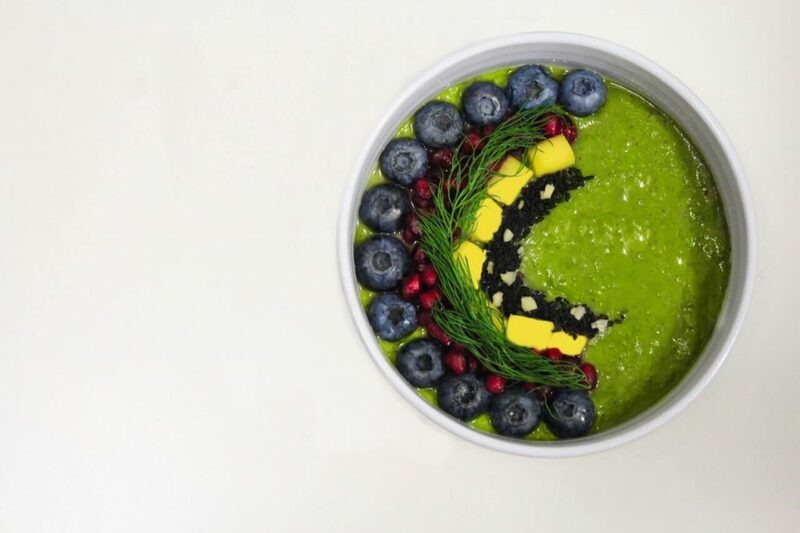 Green powders give you access to a wide variety of superfoods, in addition to other equally beneficial ingredients, for a fraction of the cost, making them a much more budget-friendly and sustainable option. The nutrients you find in fruits and vegetables are the exact same ones packed into green powders – but with the added benefit of being more easily absorbed by the body. I’ve already shown you the myriad of amazing health benefits some of the best powders in the market today can bring in the reviews section. They can help you with everything from detoxification and digestion all the way to mental clarity and skin rejuvenation. 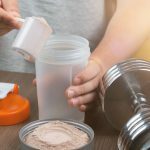 Unlike supplements that contain caffeine and other stimulants, green powders rely on the healthy carbs contained in the ingredients they use to give you energy. This means that you get pretty much the energy boost but without the jitteriness, nausea, spikes and crashes that normally come from simple sugars and caffeine. Let’s face it. Not everyone is a fan of vegetables. Well, green powders make it easier for people who hate greens to start eating more of them. They come in all sorts of delicious flavors that you can consume directly or add to your favorite smoothies. And with the advantages out of the way, we move on to the disadvantages. The thing with drinking your calories is that you don’t feel as full as long as when you eat whole foods. This means it’s easy to end up consuming more than you need per day. Obviously, this is not what you want if you’re trying to maintain a healthy weight. Sure, a lot of products do, but some still taste too “green” for most people. So, be sure to read reviews first before purchasing your first green powder. The last thing you want is to buy a 30-day bottle and find out on the first day that you hate the flavor. Keep in mind that some of these products can be pretty expensive. 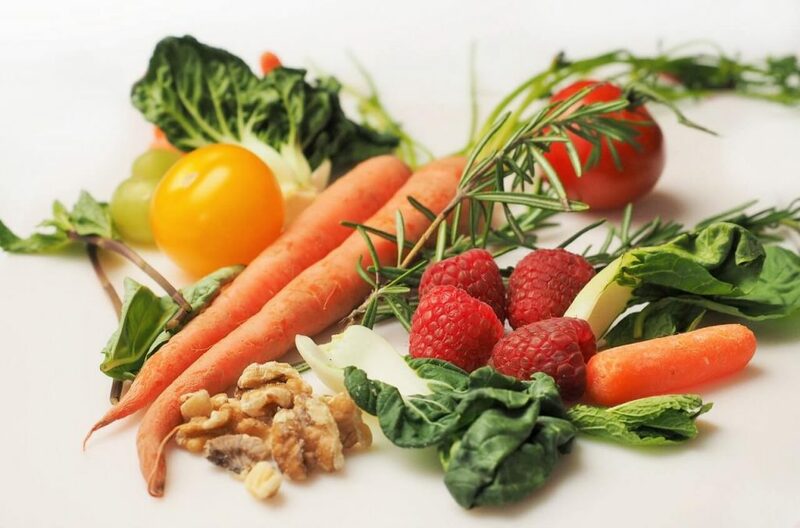 Normally, eating more fruits and vegetables – especially superfoods – is good for you. Unfortunately, the whole thing doesn’t work as well if you have food allergies and intolerances. The problem with green powders is that since everything’s already mixed together, there’s really no way for you to remove any of the problematic ingredients. You now have a better idea of the advantages and disadvantages of green powders. The products on this list alone cost anywhere between $15 and a couple of hundred dollars. Obviously, you should pick one that fits your budget. There’s no point in buying the most expensive one once and end up unable to purchase a second bottle. Keep in mind that when it comes to nutrition, consistency is key. 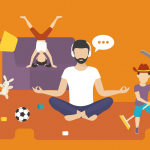 So, you’re better off with a cheaper alternative that you can afford to buy regularly. Do you want something 100% organic? Are you looking for something that contains zero animal products? 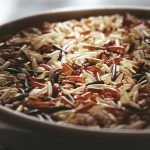 Do you have food allergies or intolerances? Make sure to choose a product that suits your specific needs perfectly. If possible, pick a green powder brand that lists every single ingredient it uses – preferably including their quantities. While products that hide some of their ingredients inside what’s called “proprietary blends” are not necessarily bad, wouldn’t it be better to know exactly what you’re putting into your body? 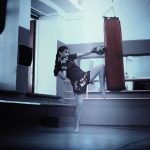 A more established company with a reputation to protect is less likely to shortchange you because it would cost more for them to do damage control than to simply put out good products in the first place. So, do a bit of research first and read some reviews before pulling your wallet out. Has the product you’re looking to buy been reviewed by a credible third-party organization? If so, then it’s most likely worth the money. Keep in mind that no company would voluntarily tell you anything bad about their products. Third-party reviews give you a more objective perspective to base your decision on. If you’re already a fan of fruits and vegetables, then you probably don’t need them – unless you’re really busy and want a more convenient way to consume your greens. On the other hand, if you just can’t get yourself to eat healthy things, then you should definitely give green powders a shot. Just be sure to pick a brand that’s known for its flavor. Otherwise, you might as well just eat whole vegetables. Either way, just be careful not to consume too much green powder throughout the day. Again, even though these products come in liquid form, they still have calories, which can quickly add up. If you’re not sure how much to consume per day, don’t hesitate to talk to a nutritionist. The thing with green powders is that they’re normally made with fruits and vegetables, which typically consist mostly of carbohydrates. The good news is that each serving is only around 20-60 calories (which also contains some protein), so it’s still possible for people on the keto diet to enjoy a glass or two a day without going over their daily carb limit. 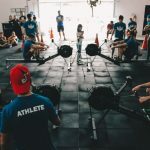 The bottom line is that if you’re looking for the best greens powder for keto diet, then pretty much any highly rated product in the market should do the trick as long as you don’t consume too much per day. Pretty much any product on this list can be considered the best green superfood powder of 2019. This means your decision would ultimately boil down to which brand ticks the most boxes on your personal list of requirements. 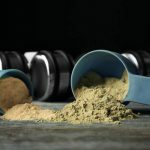 Keep in mind that just because some people consider one brand to be the best green superfood powder of 2019, it doesn’t mean that it would suit your specific needs. While the fiber and other nutrients in green powders are known to help flush out excess fat from the body, they’re not a magic pill. 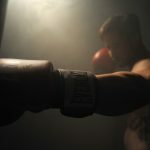 At the end of the day, it still boils down to the number of calories you consume versus the number you burn. So, if you really want to lose weight, you still have to eat a bit less and move a bit more. Even the best green powder supplements are just meant to give you a little extra push. The short answer is yes – but only if you choose a high-quality product made with wholesome ingredients. In their purest form, green drinks are simply vegetables in beverage form. They only become unhealthy if they come with too much added sugars, artificial flavors and chemical additives and extenders. So, as long as you stick with cleaner brands, you shouldn’t have any problems. At the end of the day, it doesn’t really matter whether you consume your fruits and vegetables whole or in powder form. The only thing that truly matters is that you do. So, if you think drinking would help, then feel free to give any of the products on our list of the best green powder supplements a shot!